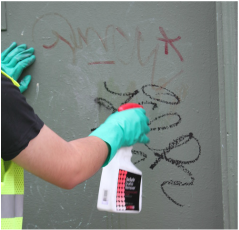 With the Right Tools and Techniques, Graffiti Removal is fast, Easy and Safe! 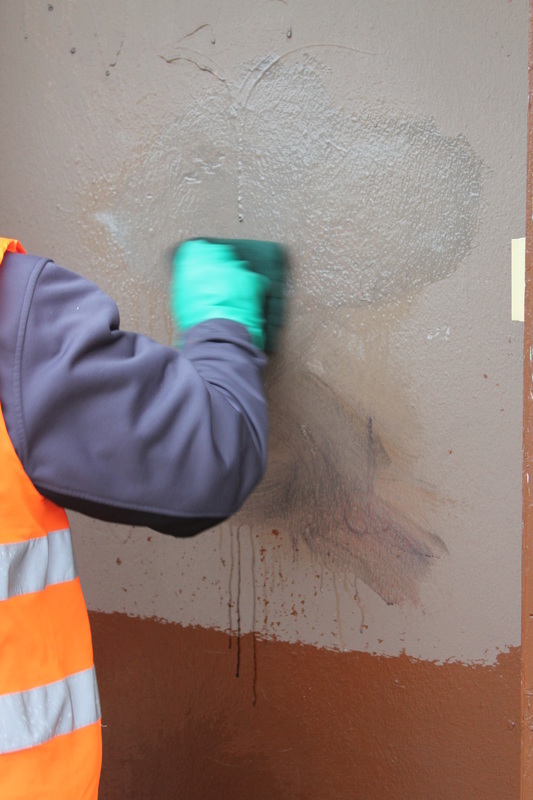 Check out the quick video above showing SoSAfe graffiti removal in action. Thanks! Click the four arrows on the bottom right corner to make it full screen. 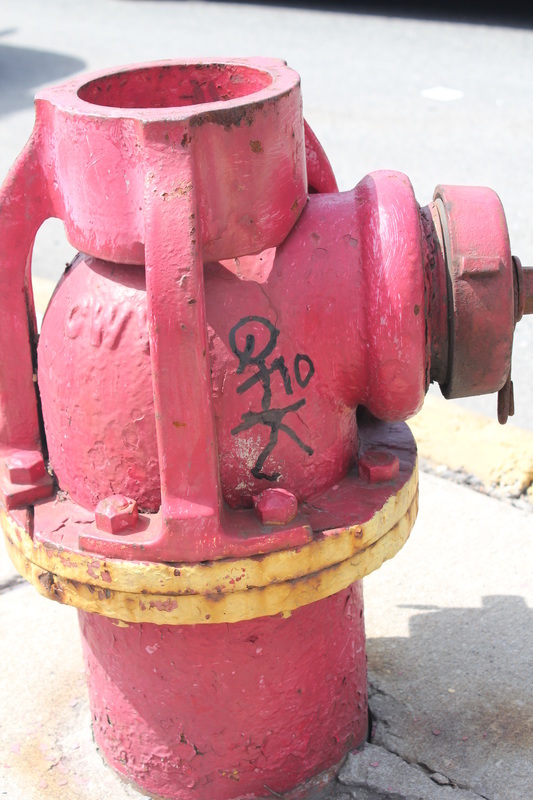 The SoSafe Graffiti Removal Line: Fast, Safe and Effective. SoSafe Yellow Label graffiti remover for delicate surfaces, SoSafe Green Label graffiti remover for painted surfaces, SoSafe Blue Label Gel graffiti remover for concrete, brick and difficult surfaces, SoSafe Red Professional Graffiti Remover for a wide range of surfaces, and SoSafe Black Label VOC Exempt Graffiti Remover for non-sensitive surfaces. 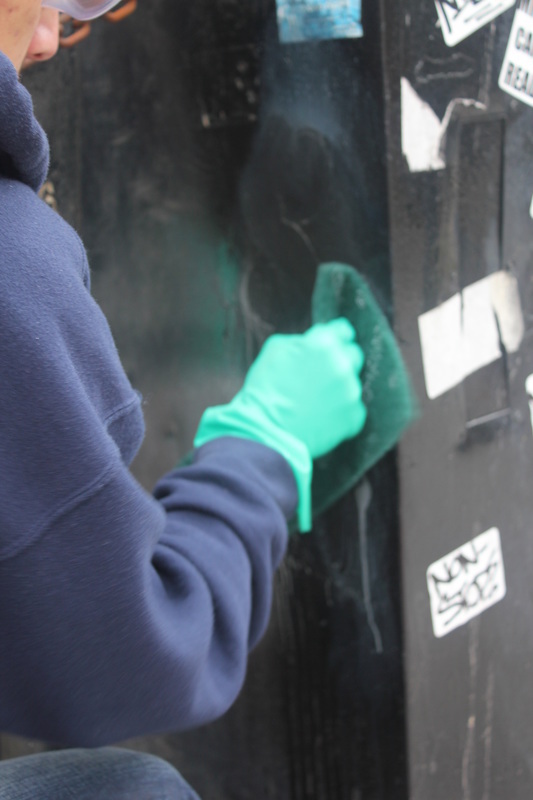 Green Graffiti REmovers, Fast, Safe and Effective. 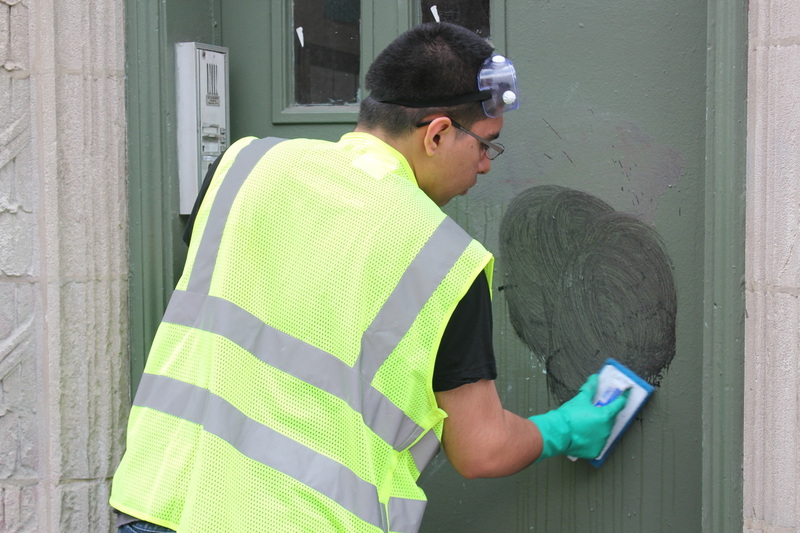 Green graffiti removers are highly green and therefore very safe to work with. 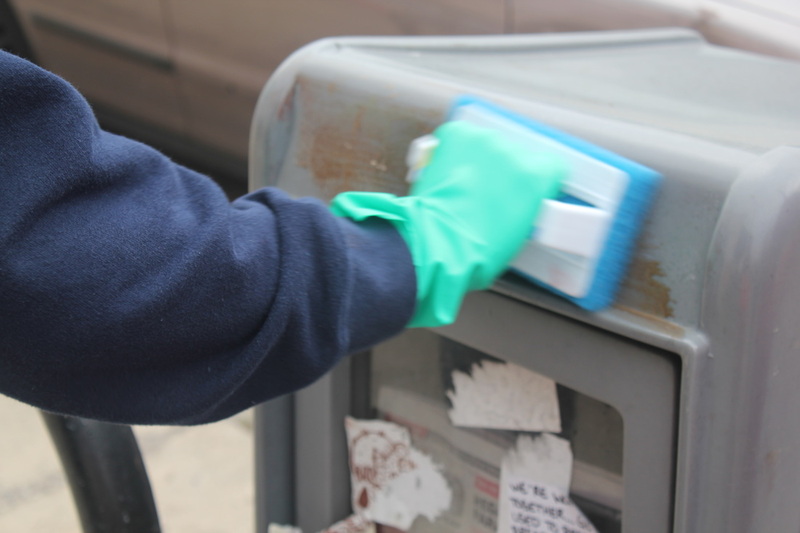 They are fast acting and can completely remove most tags within a couple minutes without impacting the underlying surface. 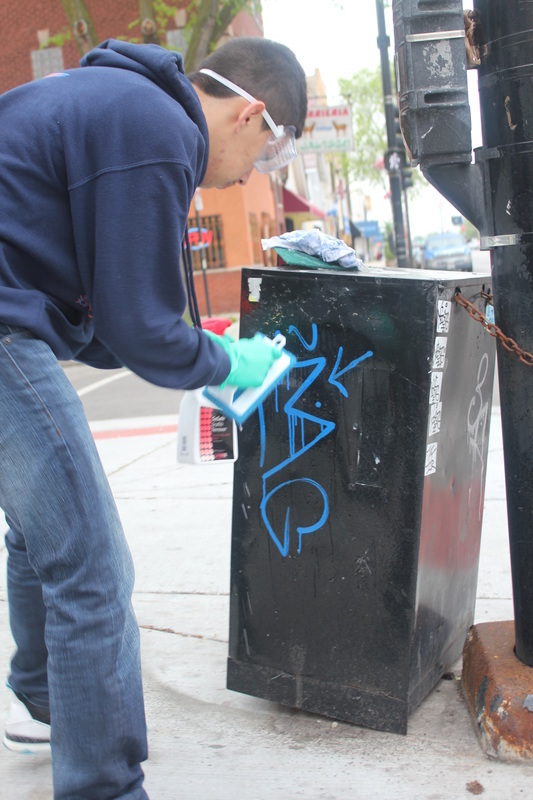 The combination of safety and efficiency allow Graffiti Action Days to happen. 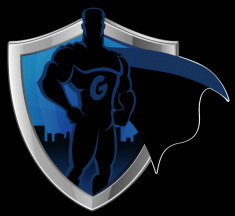 They are among the "greenest" graffiti remover line that exists. 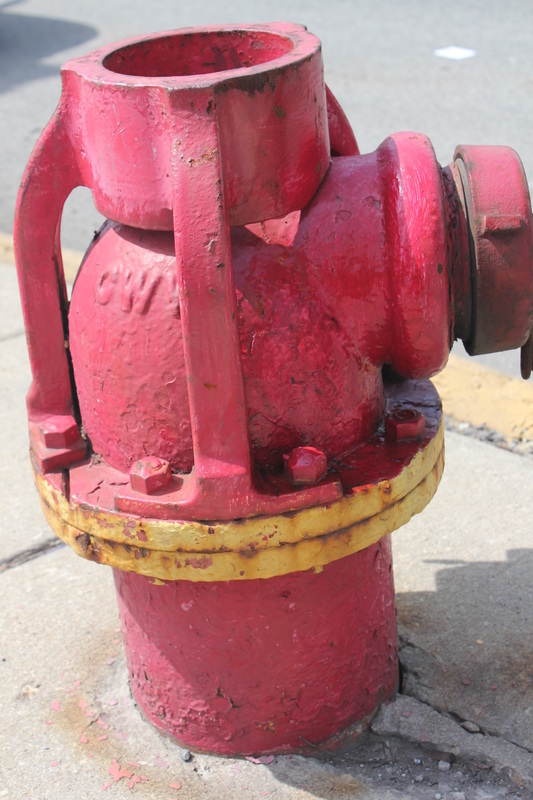 They are non-toxic, non-flammable, non-corrosive, pH neutral, non-polluting, biodegradable, water-soluble, and US EPA Compliant resulting in faster and safer work. 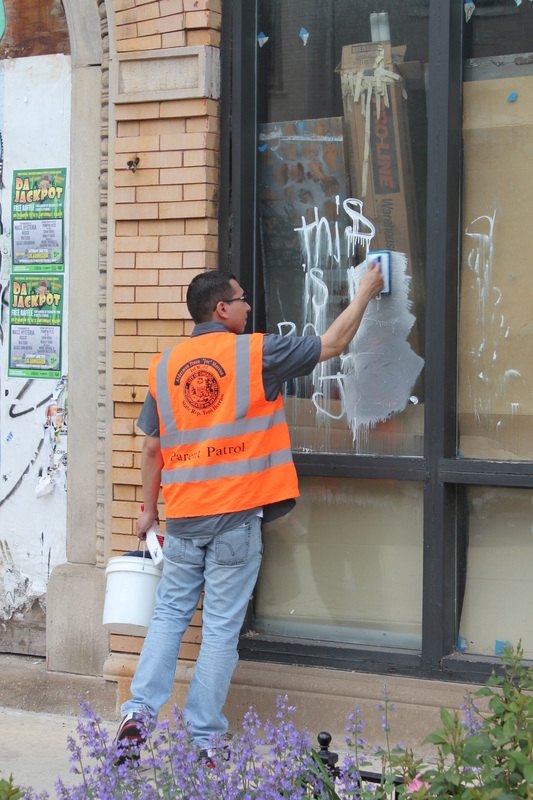 And once individuals learn how easy and gratifying it is to remove graffiti, the hope is that that they will be empowered to help keep their neighborhood clean. 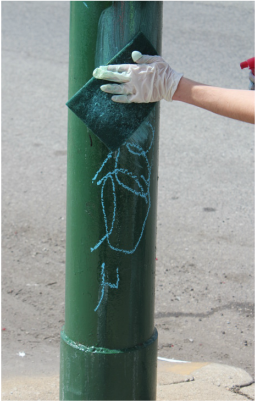 Green Graffiti Remover Before/After Photo Gallery and Training for how to Remove Graffiti from a wide range of Surfaces. 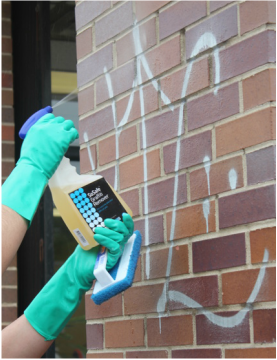 Fast and Easy Step by step guide for how to Remove Graffiti from Brick Surface using Black Label Graffiti Remover. Step 2: Allow moderate dwell time of 5 to 10 minutes depending on thickness of paint, porousness of brick, and temperature. 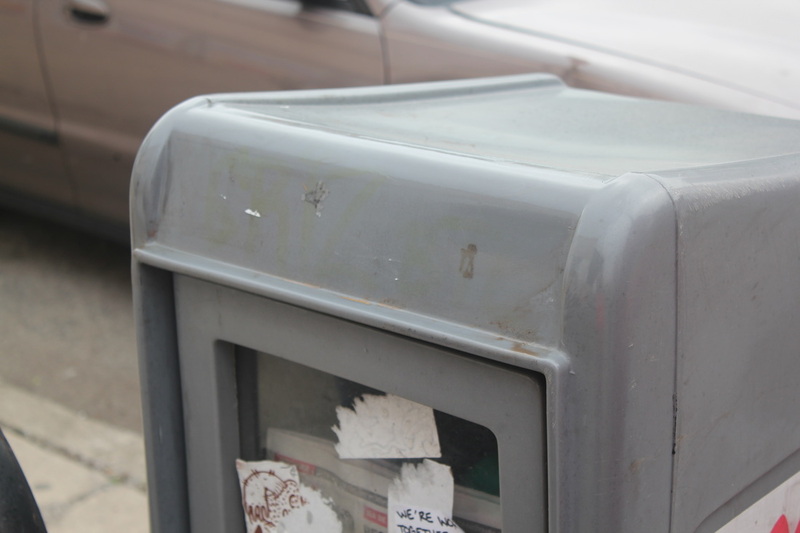 For very heavy, old or difficult tags, allow an even longer dwell time. Step 3: Scour with scouring pad, stiff nylon brush, or wire brush. Step 4: Rinse with water. 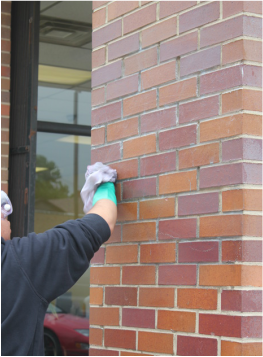 For best results, use pressure washer with 25 degree green nozzle fan tip to avoid damaging brick surface. Step 5: So Fast, So Easy, So Safe and DONE! Step 2: Allow short dwell time of 10 to 60 seconds. Sharpie or permanent marker will break within 5 seconds. Paint marker will break within 30 to 60 seconds. Grease pen will break within 2 minutes and agitation will assist the removal as the grease chunks break free. Spray paint will break within 30 seconds to two minutes. 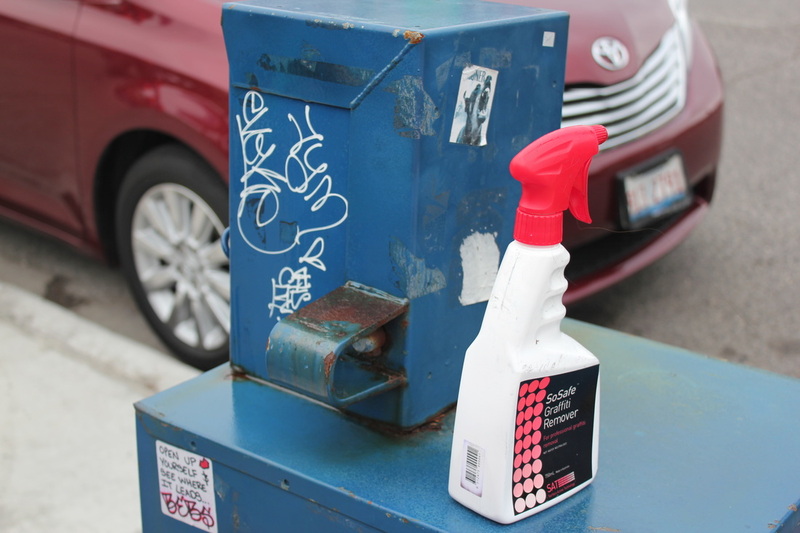 How to Remove Graffiti from painted Newspaper Box using SoSafe Black Graffiti Remover. Step 2: After 30 to 60 second dwell time, scrub with scouring pad. 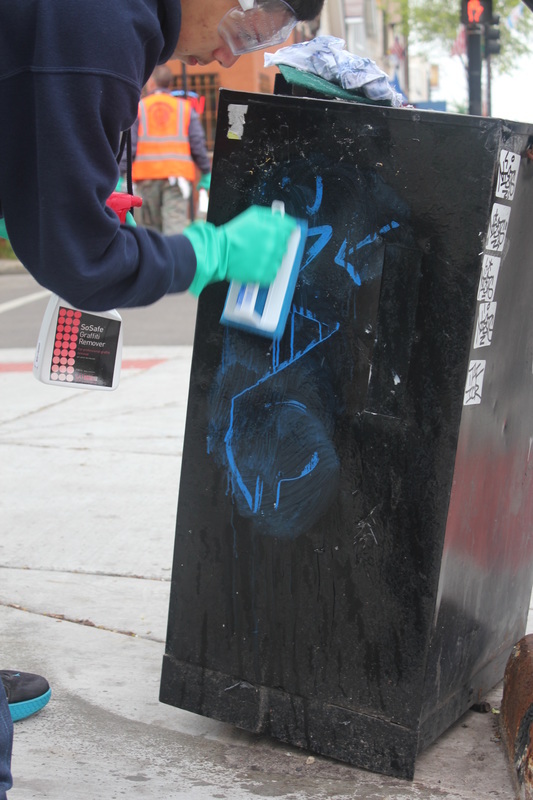 How to Remove Graffiti from painted Newspaper Box using SoSafe Black Graffiti Remover. 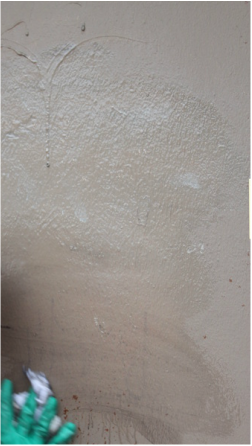 Step 3: If any paint remains bonded, reapply graffiti remover and scrub again. 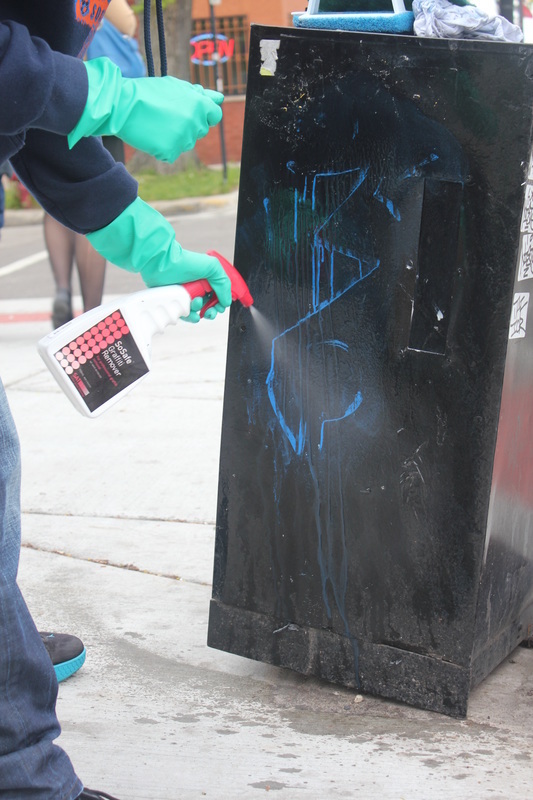 How to Remove Graffiti from painted Newspaper Box using SoSafe Black Graffiti Remover. Step 4: Wipe clean with rag. Step 5: So Fast, So Easy, SoSafe and DONE! 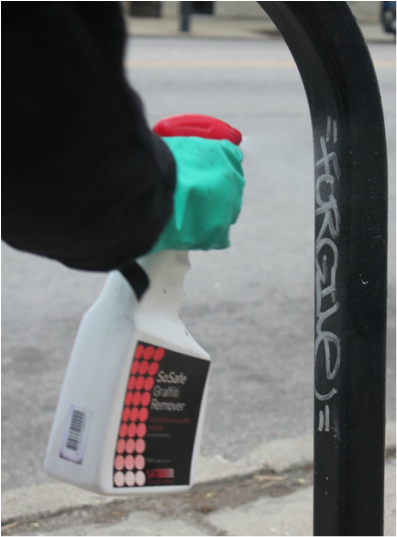 How to Remove Graffiti from painted Bike Rack using SoSafe Red Pro Graffiti Remover. 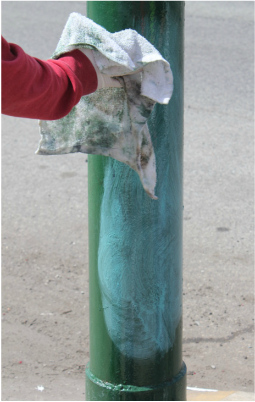 Step 2: Lightly rub using scouring pad and wipe clean with rag. 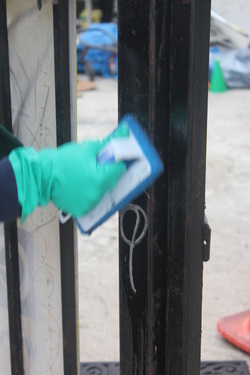 How to Remove Graffiti from Painted Metal Gate using SoSafe Red Pro Graffiti Remover. Step 3: Wipe clean with rag. 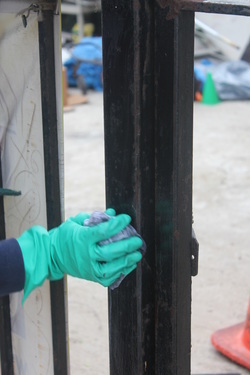 How to Remove Graffiti from Painted Metal Gate using SoSafe Red Pro Graffiti Remover. Step 4: DONE! Step 4: Wipe surface clean with rrag. Step 5: Rinse clean with water. Step 6: So Fast, So Easy, SoSafe and DONE! 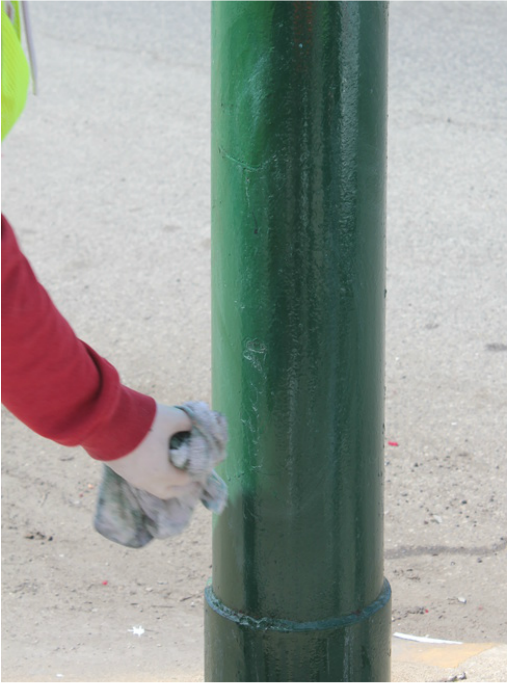 How to Remove Graffiti from painted light pole using SoSafe Red Pro Graffiti Remover: For best results, rinse with water or wipe down with wet rag. Step 4: Wipe surface clean withdry rag. Step 5: For best results, rinse with water or wipe down with wet rag. 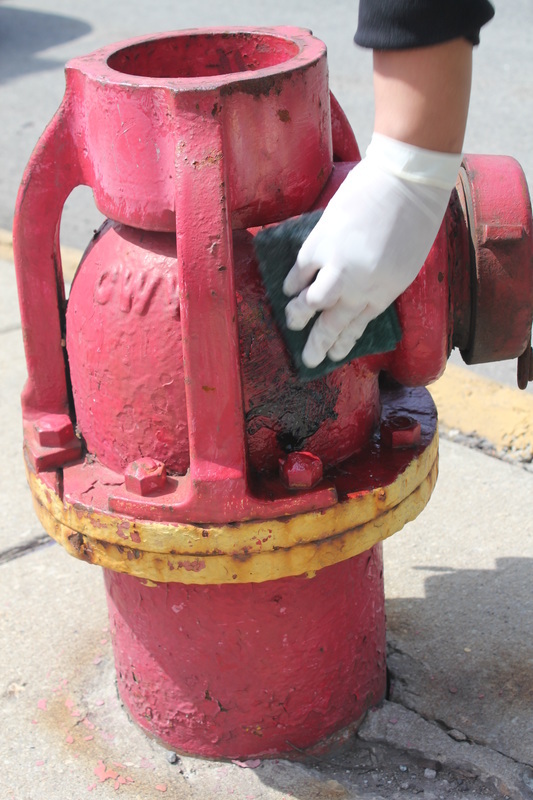 How to Remove Graffiti from Fire Hydrant using SoSafe Blue Gel Graffiti Remover. Step 5: and DONE! Step 2: Allow short dwell time of 10 to 60 seconds. Sharpie or permanent marker will break within 5 seconds. Paint marker will break within 30 to 60 seconds. Grease pen will break within 2 minutes and agitation will assist the removal as the grease chunks break free. Spray paint will break within 30 seconds to 2 minutes. Step 4: Wipe surface clean with wet rag. 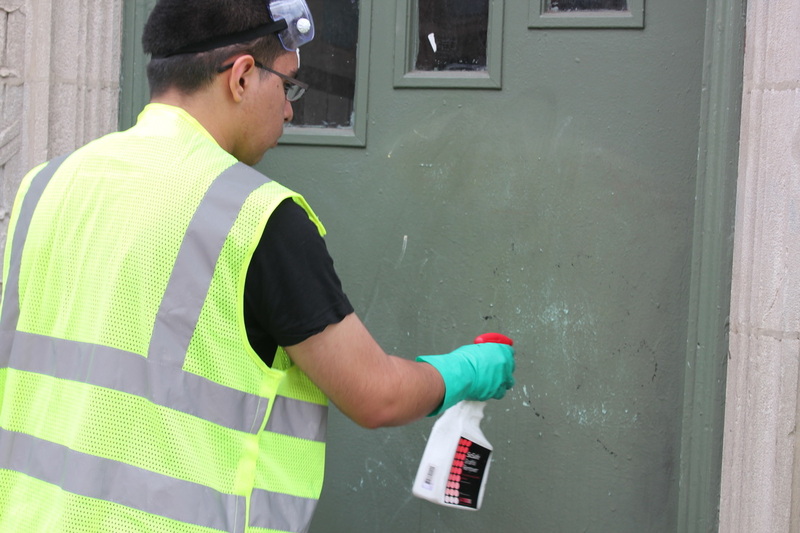 How to Remove Graffiti from Painted Metal Door using SoSafe Red Pro Graffiti Remover. Step 2: After 30 second dwell time, scrub with scouring pad. 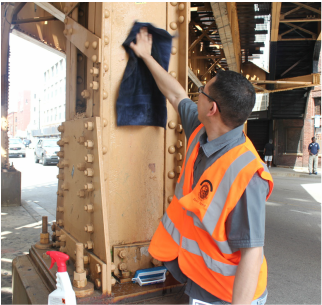 Step 4: Wipe surface clean with wet rag.How to Remove Graffiti from Painted Metal Bridge using SoSafe Red Pro Graffiti Remover. 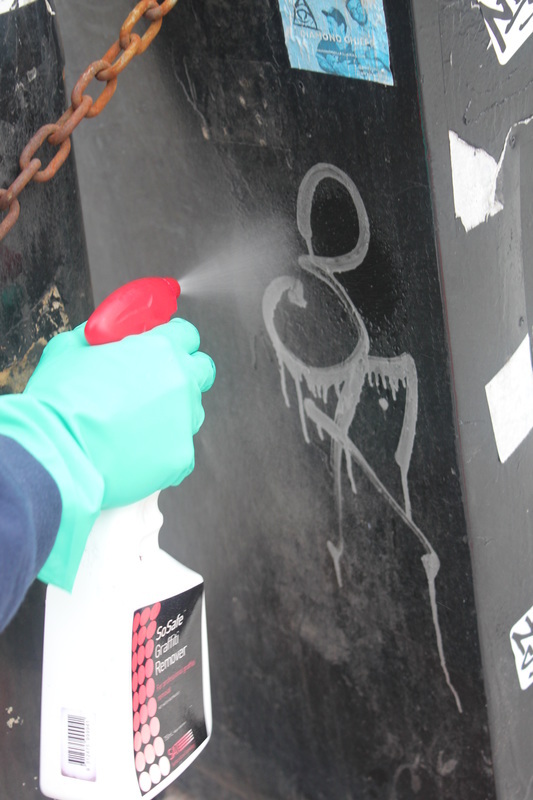 Step 1: Spray or Pour Graffiti Remover onto Tag. Step 2: After 60 second dwell time, scrub with scouring pad. 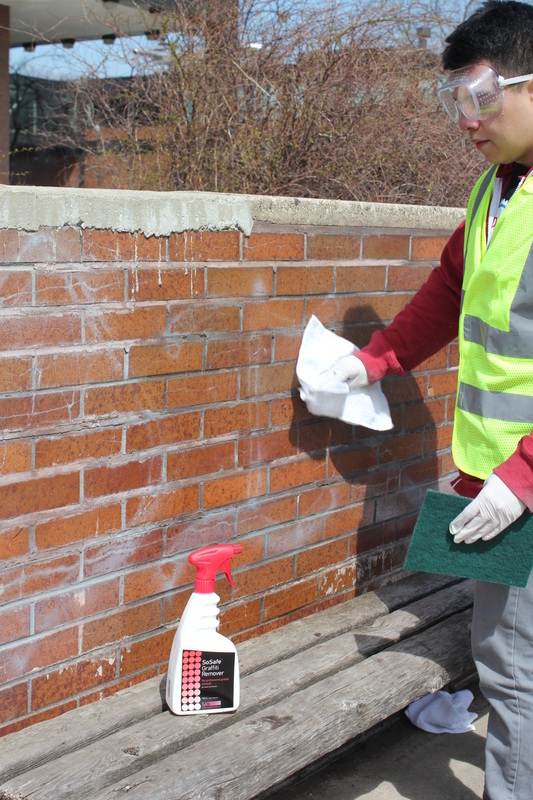 How to Remove Graffiti from Painted Metal Bridge using SoSafe Red Pro Graffiti Remover. 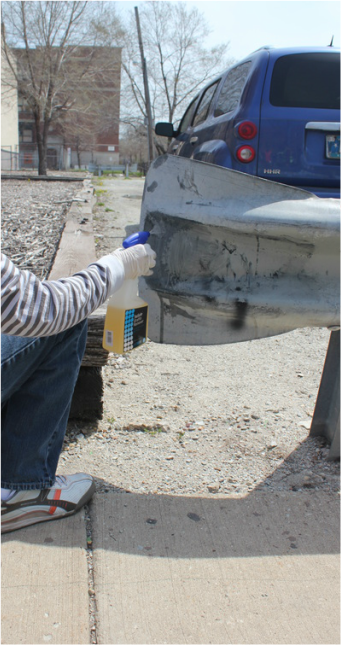 Step 1: Spray or Pour Graffiti Remover onto Tag. Step 2: Wait for 60 second dwell time. Step 3: Scrub with scouring pad. 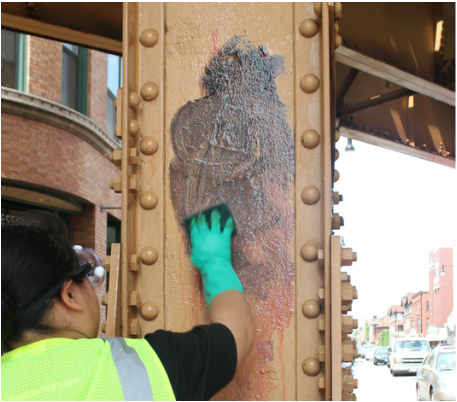 How to Remove Graffiti from Painted Metal Bridge using SoSafe Red Pro Graffiti Remover. Step 3: Wipe clean with a rag. Done! Step 2: Allow short dwell time of 1 to 3 minutes. Sharpie or permanent marker will break quickly seconds. Paint marker will break within 30 to 60 seconds. Grease pen will break within 2 minutes and agitation will assist the removal as the grease chunks break free. Spray paint will break within 1 to 3 minutes. Step 3: Scrub lightly with scouring pad or stiff nylon grout brush. Step 4: Wipe surface clean with wet rag. Rinse with water jet from hose or pressure washer for best results. 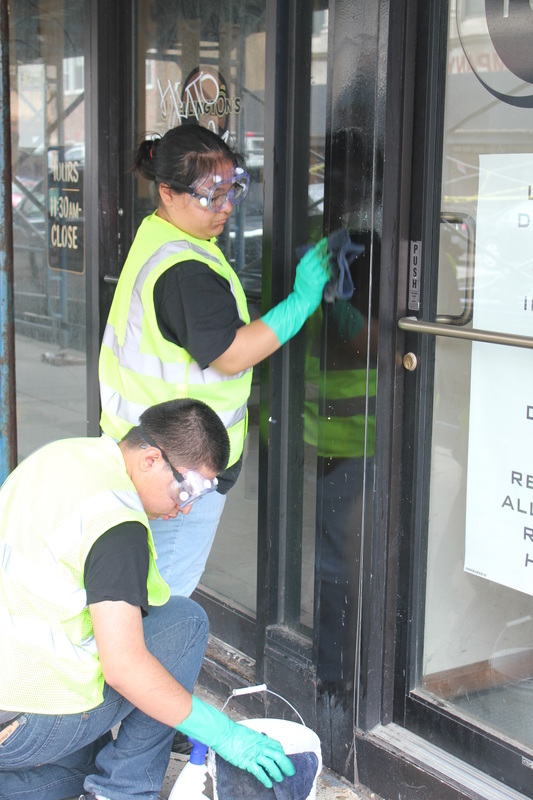 How to Remove Graffiti from Metal Storefront using SoSafe Blue Graffiti Remover. Step 2: After short 30 second dwell time, scrub lightly with scouring pad. 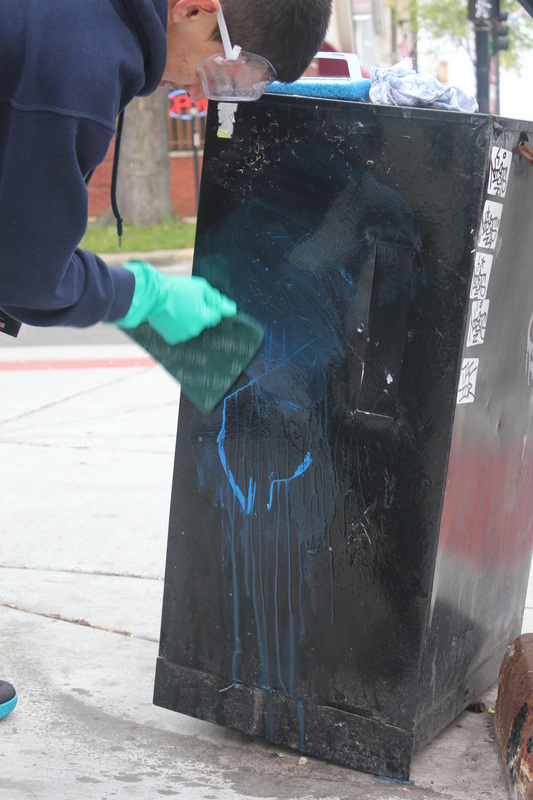 How to Remove Graffiti from Metal Storefront using How to Remove Graffiti from Metal Storefront using SoSafe Blue Graffiti Remover. Step 2: After short 30 second dwell time, scrub lightly with scouring pad. 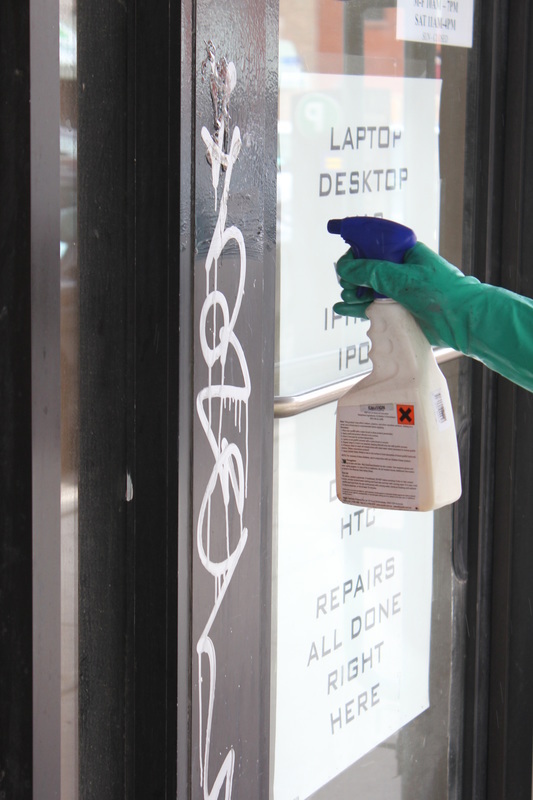 How to Remove Graffiti from Metal Storefront using SoSafe Blue Graffiti Remover. Step 3: Wipe clean with damp rag. 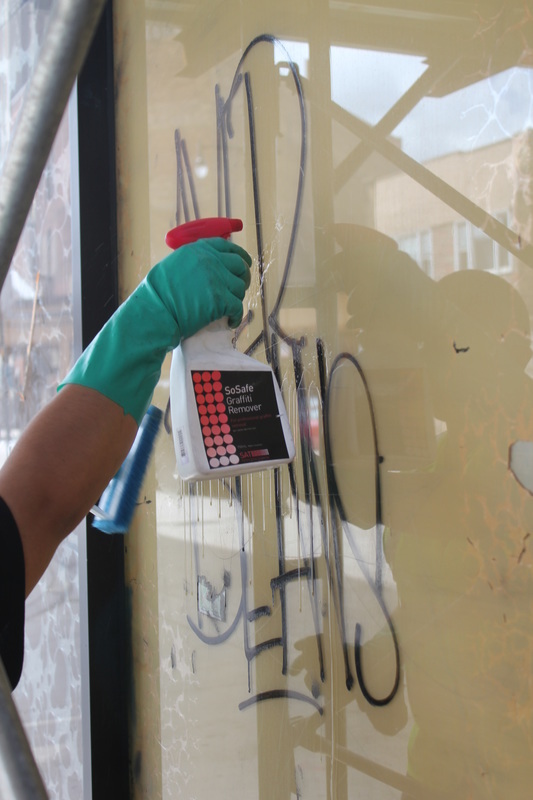 How to Remove Graffiti from Glass using SoSafe Red Pro Graffiti Remover. Step 3: Wipe clean with rag. Done! Step 2: Allow short dwell time of 10 to 60 seconds. Sharpie or permanent marker will break within 5 seconds. 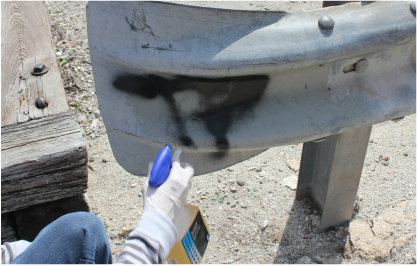 Spray paint will take between 30 and 90 seconds. 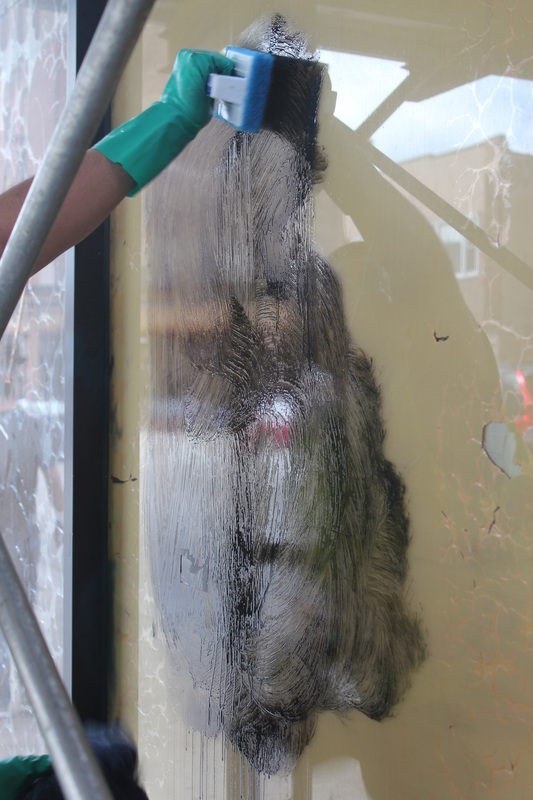 Acid etched windows cannot be cleaned using graffiti remover. 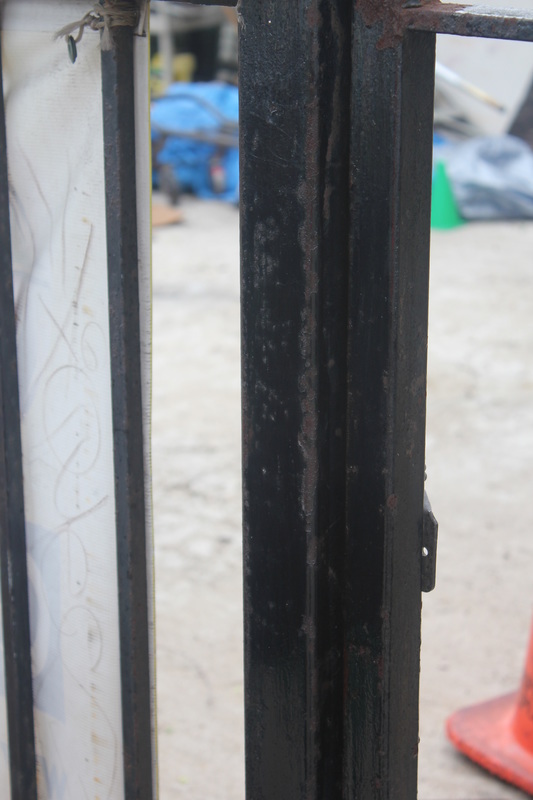 Acid etched windows require a grinding process and must be repaired by a professional. Acid etched window graffiti often has a white translucent appearance with drips. 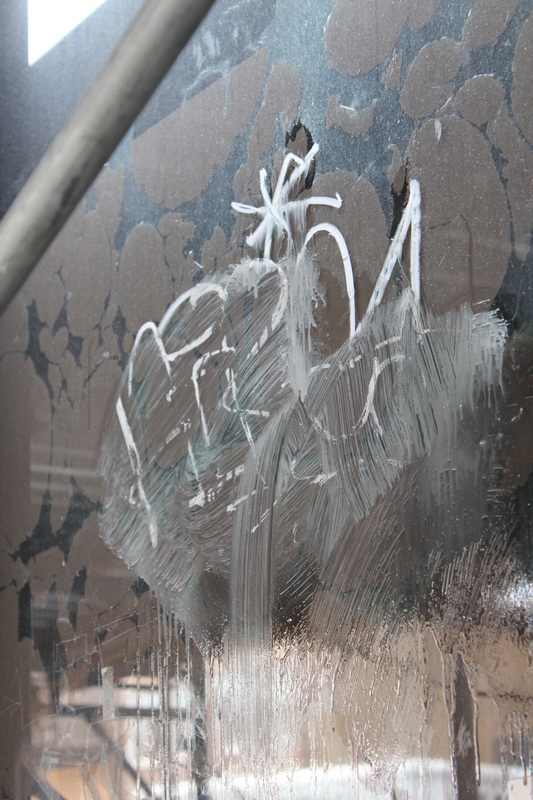 The hydrofluoric acid used by the graffiti taggers actually frosts the windows. 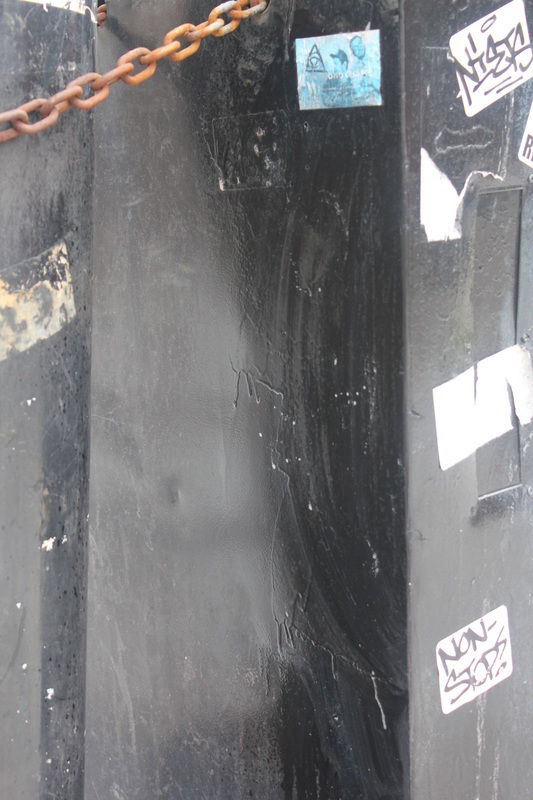 Classic photo example of acid etching graffiti tag on storefront window. 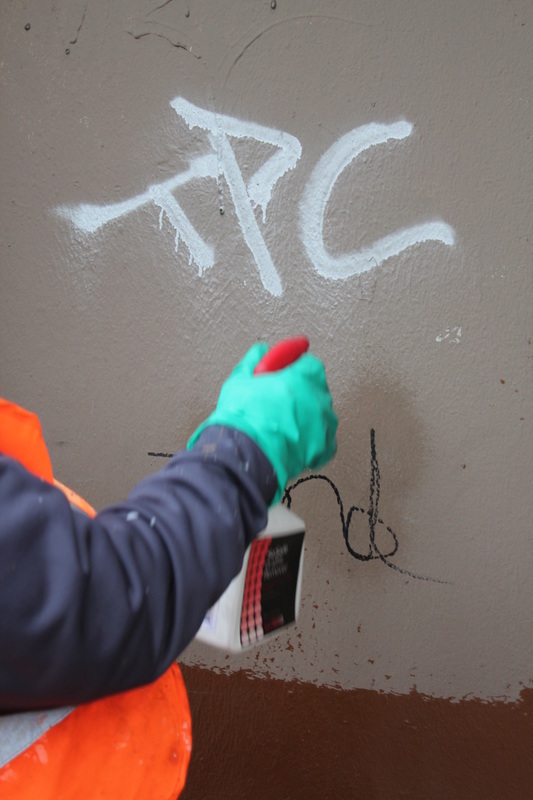 Its important to be able to quickly tell the difference between acid etched graffiti tags and more conventional paint, marker or grease pen graffiti tags as the steps to remove them are very different. 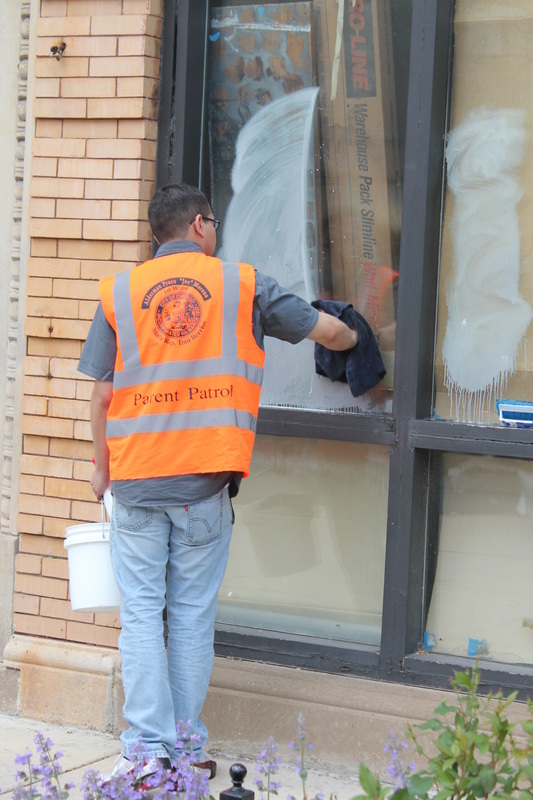 Acid etched windows cannot be cleaned using graffiti remover but require a professional to use a grinding process to restore the window. 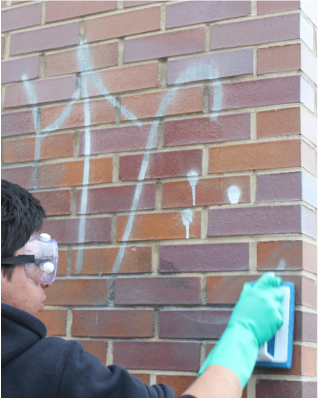 Conventional graffiti is often easily and rapidly cleaned using a graffiti remover like SoSafe. 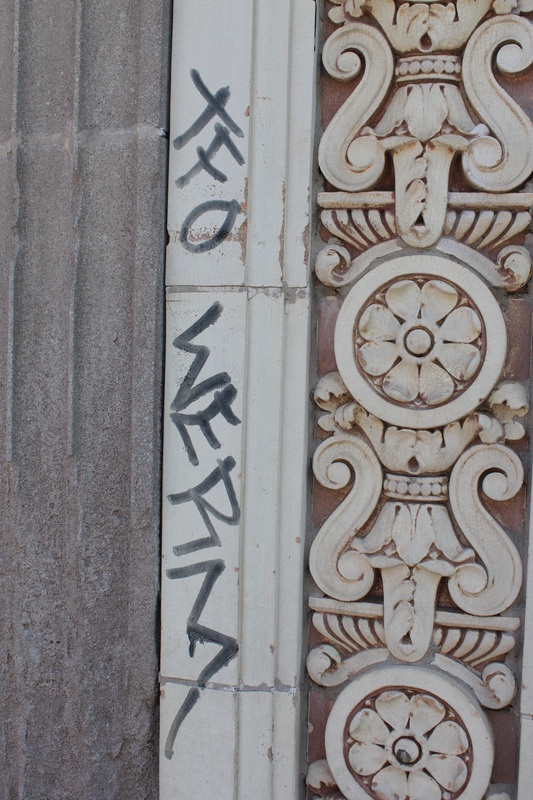 Acid etched window graffiti tags often has a white translucent appearance with drips. 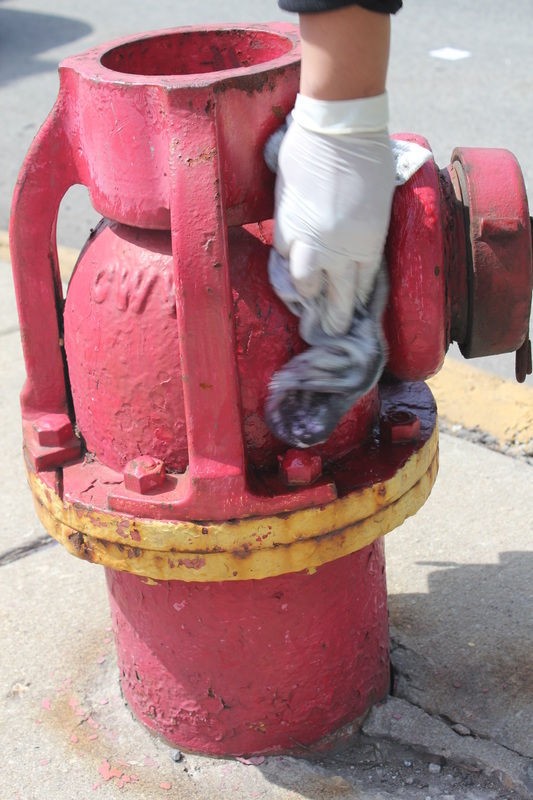 The acid is often applied using a self-loading shoe polish sponge. The width of the acid etching is usually fairly uniform. There are thick and thin spots. Long drips are very common. The acid etching is almost always a translucent white. 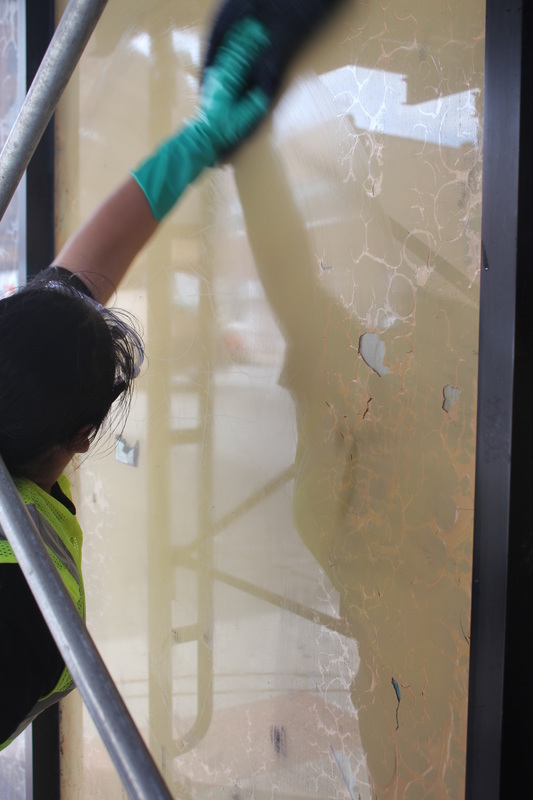 It cannot be cleaned with a razor blade, as the surface of the glass has actually been etched. 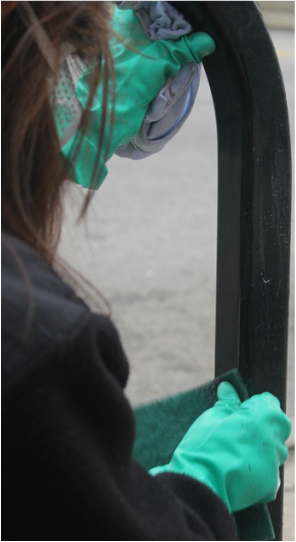 Conventional graffiti tagging on glass is easily and quickly cleaned by a graffiti remover like SoSafe. 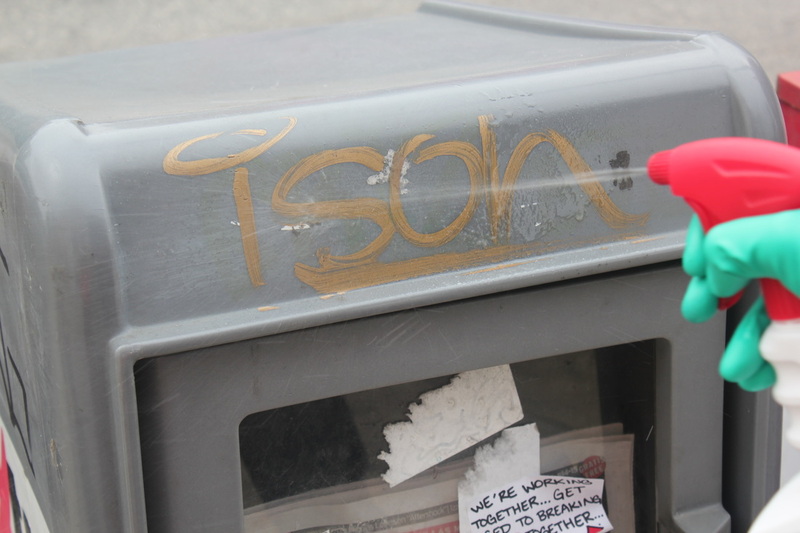 The tags often have a color. If they are white, they might be mistaken for acid etching. Grease pens have a slightly 3 dimensional quality as the grease comes off the pen unevenly. Grease pens do not drip. White markers or paint tends to be a more saturated, brighter white. 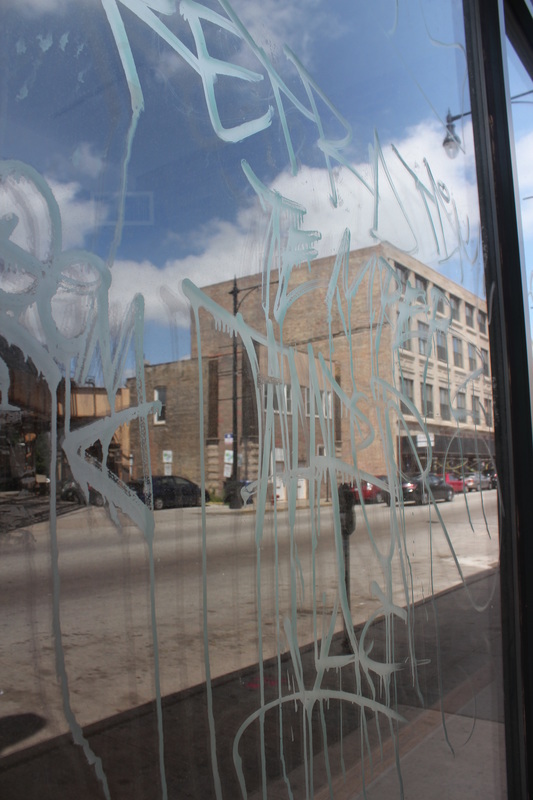 This is an example of white paint pen graffiti on storefront glass. 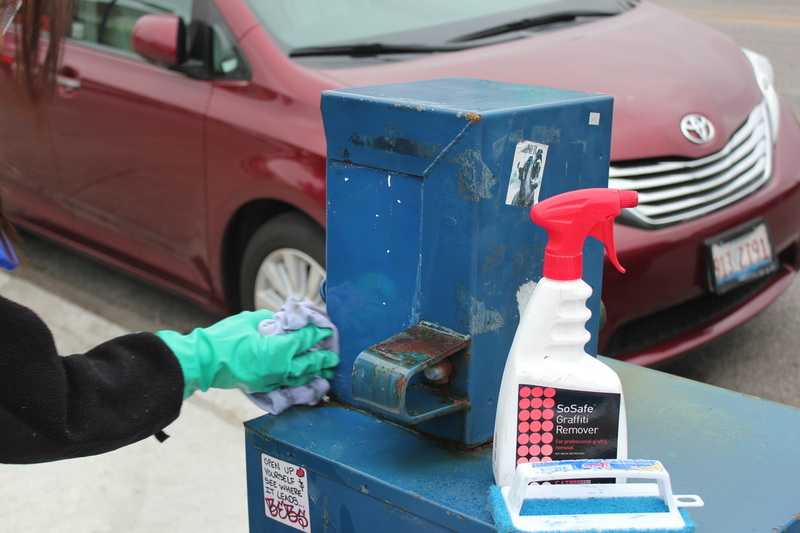 SoSafe Red Pro Graffiti Remover quickly and easily removes the graffiti tag. This is an example of white grease pen graffiti on storefront glass. 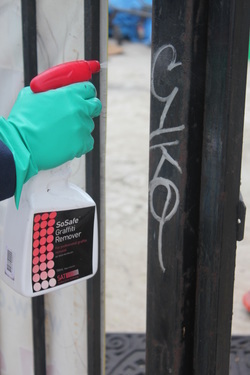 SoSafe Red Pro Graffiti Remover quickly and easily removes the graffiti tag.